The Modway Articulate Ergonomic Mesh Office Chair (Black) is a top seller on Amazon.com and for many reasons at that and that is why we have put together this review. So if you’re wondering if this is a great buy or something you need to pass on, allow me to give you a little more information on what this chair really has to offer. The Modway is pretty simple chair—perfectly suited to blend naturally into any office environment. Though not overhauled with lots of bells and whistles, it does succeed on the front that matters the most: comfort. During a long day at work, you shouldn’t have to worry about doing damage to your back. With a chair like the Modway, that simply will not be a concern. The quality materials, and the ergonomic engineering ensure that the product will keep you nice and cozy during long hours on the job. In order to see whether or not this is the chair for you, we will now take a look at some of its key features and weaknesses. The most important component of any chair is whether or not it is comfortable. In the case of the Modway there is no ambiguity as this is definitely a comfortable chair. The unit has been optimized for ergonomics, and naturally supports the contours of your back to keep you as comfortable as possible while you work. If you do work in an office setting, there really is no getting around the need for this feature. There is no reason to get injured while sitting at your desk. Good ergonomic engineering ensures that this will not be a worry. 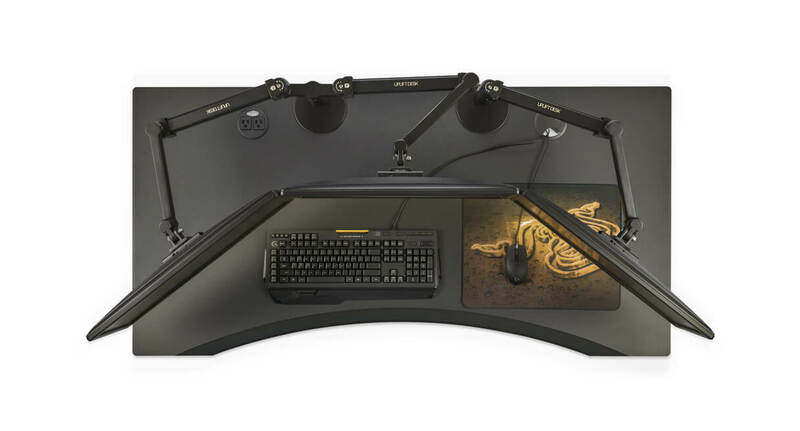 Of course, it wouldn’t be much of a desk chair if it didn’t feature a full range of motion, right? The Modway has been designed to rotate in 360 degrees. It also tilts back for when you want to enjoy the recliner feature. And of course, the chair also comes with wheels so that you can zip around your office without ever getting up from your seat. Naturally, these are features that are standard to pretty much every decent office chair on the market. Even with that said though, you shouldn’t take anything for granted when making a buying decision, right? Who said that you need to leave your personality at the door when you go to work? While the chair that we looked at was black, there is actually a wide range of color options that will empower you to put a personal touch on your office space, should you want to. The chair comes in white, green, blue, and purple. If you want to spice your home or work environment up with a little bit of color, investing in a hair with some personality will do the trick. Last but not least, this chair is also very durable. While you may not think about needing your chair to be durable in the first place, you should think again. Office chairs are put under a lot of stress simply because they are used for long periods of time throughout the day. To ensure a long lifespan, the Modway has been optimized with a sturdy base and high-quality materials. As a result, the chair will be able to stand the test of time. It is also worth noting that the base will be able to support a maximum body weight of 332 pounds—more than enough for most people to safely use the chair. The nice thing about the Modway is that it is priced just right. This of course is not to presume that it is perfectly suited to your budget. All we mean to say is that for the features of this chair, as well as the quality of its build, the price tag is quite appropriate. Though not explicitly cheap, the Modway is certainly affordable. We won’t list the price here, only for the fact that it is so often subject to change. However, we can safely say that, compared to the market of office chairs at large, the Modway is a very moderately priced unit. If you are looking for something that will deliver high-quality comfort without breaking the budget, this will be a good product to look at. While there are certainly cheaper chairs out there, they probably won’t include the same features that you loved about the Modway. Of course, like any product in any category, the Modway chair is not without its own set of issues. The good news is that, at least from our perspective, the issues are not very big. One of the most obvious problems of the chair is a product of its design. Simply put, it is very simple. There are lots of chairs out there these days that are over stuffed, and loaded with lots of features that you would never even think a chair would have or need. These chairs are usually substantially more expensive than the Modway. What you get here is a bare bones package at a relatively bare bones price. The other problems that we noticed are common to most chairs, it seems like. For one thing, we found that it was a little bit hard to assemble. Whether or not you find this to be the case will probably depend mostly on your skills at assembly in general. We also found that the tilting feature was fairly challenging to adjust. The chair was hard to recline, and once we did finally get it to tilt, we found that it was hard to adjust back to the regular position. For most people, this probably won’t be a deal breaking con, but it is still unfortunate to see. More unfortunate is the fact that most desk chairs seem to struggle in this department as well. This issue aside, it really is a good chair that leaves very little to complain about. Now that you know the ins and outs of this product, it is getting close to the time to make a buying decision. To help you determine whether or not the Modway is right for you, we have assembled a list of its pros and its cons. 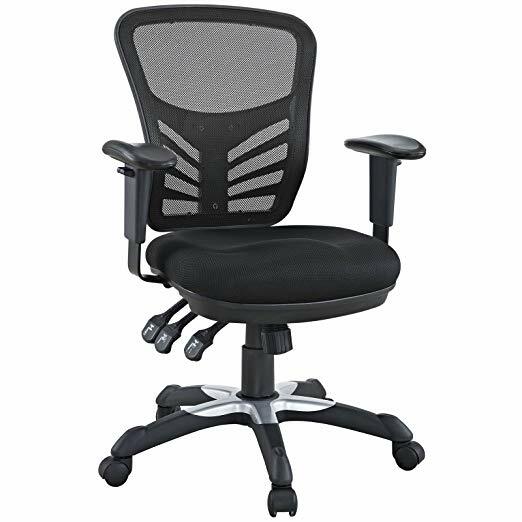 I really like this office chair and it is one that I recommend if you are in the market for some fresh gear. For those of you on a tighter budget, you can always checkout the Amazonbasics Midback Chair, which is more affordable but still gets the job done. Other than that, if you have the money to get this chair, this is a great buy. I hope this review has helped you make a wiser decision and please do share your experience if you have actually gone on to purchase this chair.